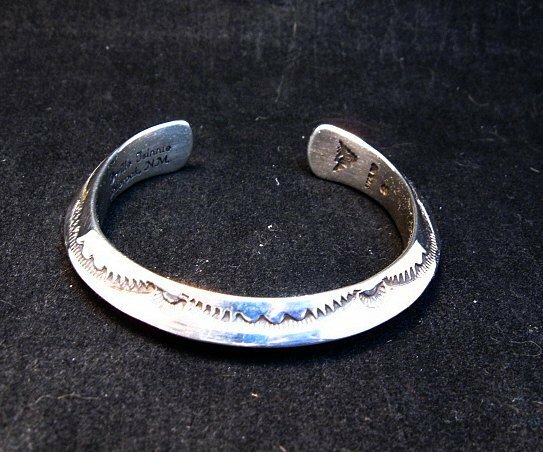 Native American stampedsterling silver triangle bracelet, handmade by Navajo silversmith, Orville Tsinnie. Available in size small: measures 5-1/8 inches long end-to-end plus there is a non-adjustable 7/8 inch gap. Item#7039. 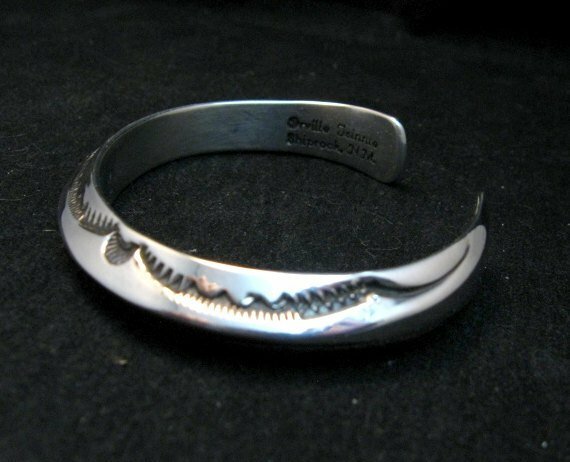 This stylish contemporary sterling silver stamped cuff bracelet was created by award winning Navajo artist, Orville Tsinnie. 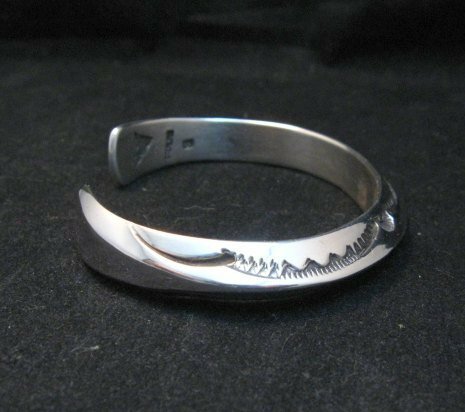 The bracelet is made from heavy gauge solid sterling silver wire that has been flattened and flared at the terminals and wrapped in silver twist wire. 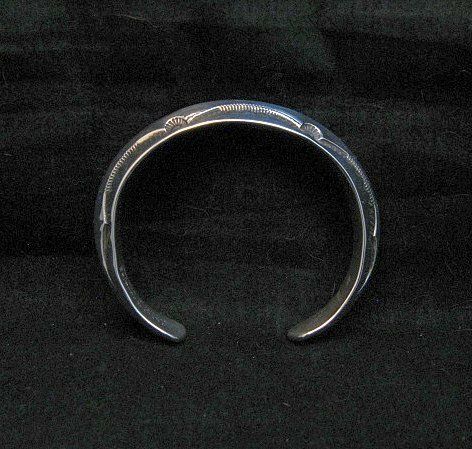 The triangle shaped bracelet is stamped on all sides, as shown. Size small: measures 5-1/8 inches long end-to-end plus there is a non-adjustable 7/8 inch gap. Weighs 37.7grams. The terminals are flattened and flared - a nice touch which helps the bracelet stay on your wrist. Brand new and in perfect condition. Gift Box and Certificate of Authenticity included. 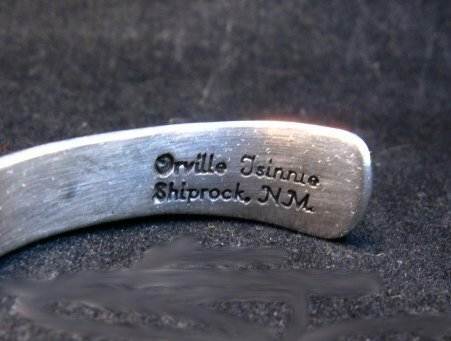 Hallmarked by the artist, Orville Tsinnie. 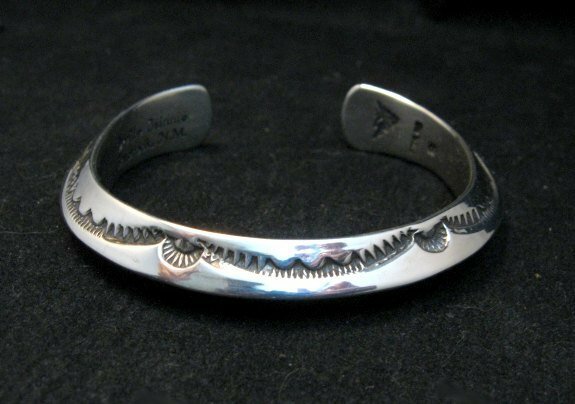 This bracelet was handmade by the artist before his death in 2017.